The eighth episode in this new series ruminates on the shape of things to come. 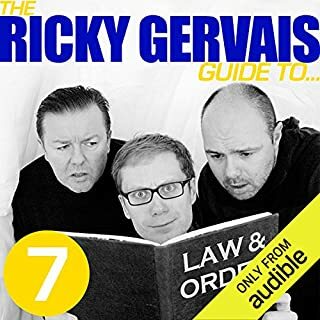 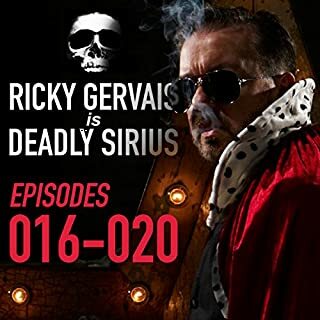 Join Ricky Gervais and Steve Merchant and Karl Pilkington as they engage in a speculative discourse and ponder the fate of mankind. In this episode: The unsightly face of social evolution; vestigial destiny of the digitus minimus manus; Karl has Google on the brain; Karl's starter for 10; Karl gets disorientated; Forwards looking foreword - teeth, pants, specs, and predictive spelling; Steve's plans for the End of Days; Chaos theory reinvented; Ambitions unfulfilled; Karl takes the path less trodden; Shop Idol; and Britain's Got Chiropody. I think this series is very amusing . I find myself smiling throughout the day thinking about what was said. I worry about whether or not Karl is real... I hope he is a character no one could be that clueless!